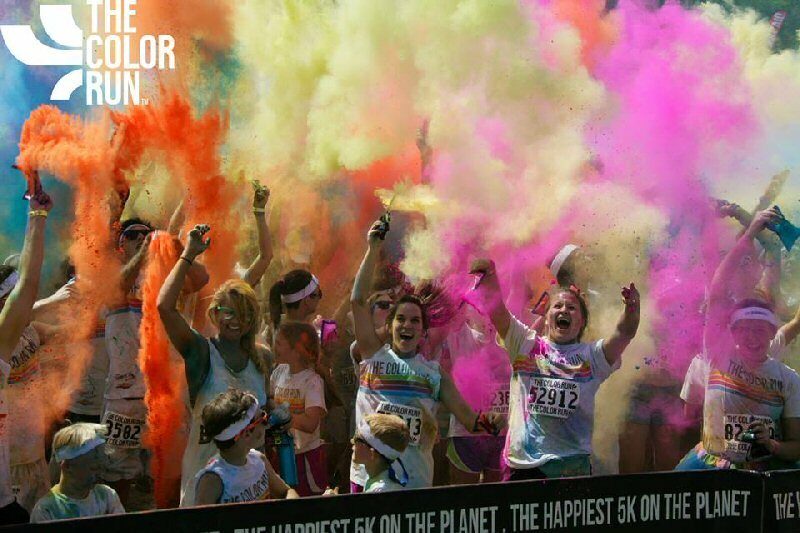 The Color Run™, the single largest event series in the nation, will debut in Windsor on July 20, 2013. The event will be held at Riverfront Festival Plaza and will have two start times at 9:00AM and 9:30AM. Registration for the event is open. Participation in, and buzz for, The Color Run has exploded since its debut last year with more than 1 million "likes" on Facebook and more than 6 million views on YouTube. The Color Run has recently been featured on ESPN, Runner's World, Sports Illustrated and the Wall Street Journal, to name a few. "We call The Color Run the 'happiest 5K on the planet' because our events bring together friends and family in a unique, healthy, and fun environment," said Travis Snyder, founder of The Color Run. "Our only rules are that people wear white and prepare to be covered in color at the finish!" The Color Run visited over 50 cities last year with more than 600,000 participants, a feat following their first event in January of 2012. They plan to make 2013 a stellar year, launching more than 100 events with an estimated 1 million participants. "Color Runners," as they are called, vary in demographics and reasons for running. With no winners or official times, The Color Run caters to anyone - first time runners to professional athletes. Over 60 percent of Color Runners are first-time 5k runners and participate as a celebration and capstone of their healthy living accomplishments. Others participate to honor loved ones who have passed or are fighting diseases. The Color Run event has also sparked approximately 10 marriage proposals and 1 wedding. The Color Run chooses an individual charity to donate to in each city they visit and raised donations for over 60 local and national charities in 2012. Their Windsor charity partner is Alzheimer Society of Windsor and Essex County. Pacing The Color Run event is the 2013 Chevrolet Spark, the Official Ride of The Color Run™ and Chevrolet's first mini car for the U.S. and Canadian markets. The specially designed Chevrolet Spark features a multicolor paint scheme over a white base that replicates the look of a color-saturated runner at the finish line. The theme continues inside with splashes of bright color throughout an already color coordinated interior. The Color Run is the largest event series in the United States and the first of its kind. Travis Snyder founded the 5k paint race event series in 2012, creating a new genre of running event. The Color Run celebrates healthiness, happiness and individuality, bringing the community together to create a five-kilometer canvas of colorful fun. For more on The Color Run, visit www.thecolorrun.com or watch this video. In 1981, George Sims and Marilyn Brown, two individuals who had been dealing with the challenge of Alzheimer's disease in their own families, wrote to the Alzheimer Society of Canada seeking advice on how to establish a local Windsor Chapter. By September 1981, The Alzheimer Society of Windsor and Essex County was born. Their mission is to alleviate the personal and social consequences of Alzheimer's disease and other dementias. To view the photo associated with this press release, please visit the following link: www.marketwire.com/library/20130606-colorrun800.jpg. The Color Run is coming to Windsor in a 'colorific' way July 20th at the Riverfront Plaza.